Held every Monday and Wednesday from 10am to 12pm at the Byron Community Cabin. People are able to sign up on Monday at Liberation Larder and Wednesday at the Homeless Breakfast from 8am. The Byron Community Showers Project is based at the Byron Community Cabins. The project is provided by the Byron Community Centre in collaboration with the Byron Shire Council. 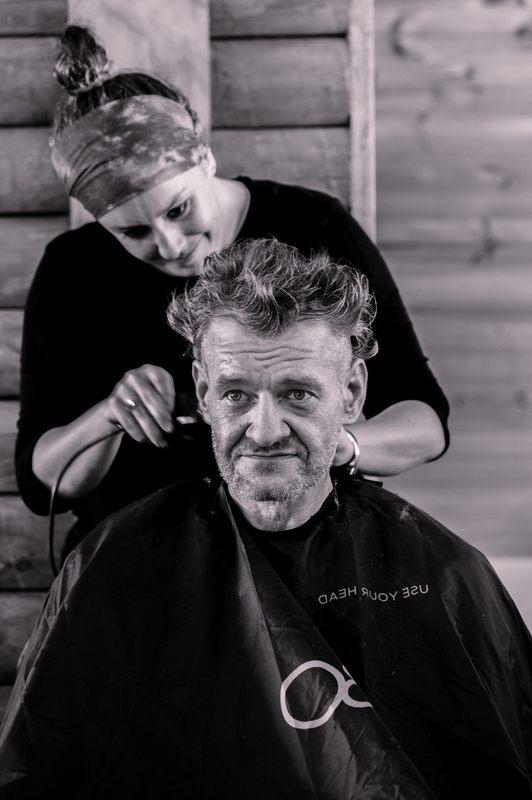 The project provides a supervised and safe environment where people experiencing homelessness can access hot showers, laundry facilities, toiletries, clothes, weekly haircuts, service information, and general support from trained volunteers, and trained community service workers. Bruce Heid, former volunteer at the Byron Community Centre. The showers project runs for two hours, two days a week – Monday and Wednesday: 10am to 12pm. People are able to sign up to have a shower at Liberation Larder (on a Monday) and the Homeless Breakfast (on a Wednesday) from 8am. Both programs are run at the Byron Community Centre. There is no “drop-in” component for the showers project.